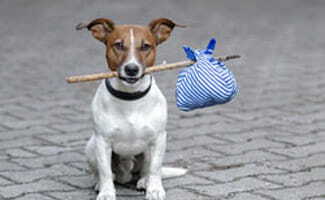 Emergency Preparedness For Pets: Do You Have Enough Supplies? Emergency Preparedness For Pets: Are You Prepared? If your family is like most across the country, your pets are important members of the household. They are also affected when disaster strikes. Whether the emergency is a tornado or wildfire, you might need to employ different measures to ensure all family members, including pets, are safe. For example, you may need to evacuate your home. Please do not leave your pets behind if you evacuate your home! Domesticated animals likely cannot survive on their own if they are left behind. If you and your family need to evacuate to a public shelter, be aware that animals may not be allowed inside. Develop a back up plan with shelter alternatives for your entire household. With any emergency, you might need to improvise and use what you have on hand to ensure the safety of your household. We have compiled a disaster supply kit checklist and a few tips to help you be prepared. For more information, visit our Disaster Preparedness Plan guide.